Body of a third-year chemical engineering student was found on IIT-Bombay campus on Saturday evening. 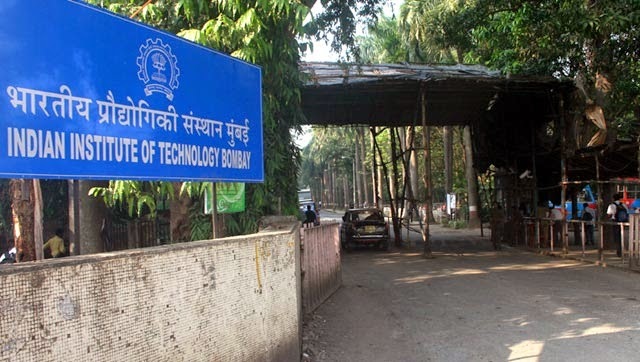 A third-year chemical engineering student from the Indian Institute of Technology-Bombay (IIT-B) was found dead on campus on Saturday evening. 21-year-old Jitesh Sharma's body was found on the terrace of hostel number 15 while a suicide note was found in his hostel room, an IIT spokesperson said. Students said that he left a note behind and is believed to have consumed something poisonous. "He has written a suicide note in Hindi and English that shows he was under depression," the investigating officer from Powai police station said. According to police, Sharma was apparently unhappy with the choice of his academic course, and a suicide note, purportedly written by him and found near his body, indicates he was depressed. "I should not have been into this field. I did a mistake by passing JE exam. I have now learnt to be away from my parents (sic)," the officer said quoting the suicide note. A student at the institute said, "While he was active in extra-curricular activities, he was not doing well academically and was under pressure because of this." Police have registered a case of accidental death. They have spoken to the parents of the deceased and are in the process of investigating further. This is the second such death on campus in the last year. In September, a fourth-year student, Aniket Ambhore, had committed suicide by jumping from the hostel building.